Last summer, we set up a prototype course to teach orphan children how to grow and sell herbs. The course worked well and we learnt a lot from it. Armed with lots of learning opportunities a new course has been started this summer. 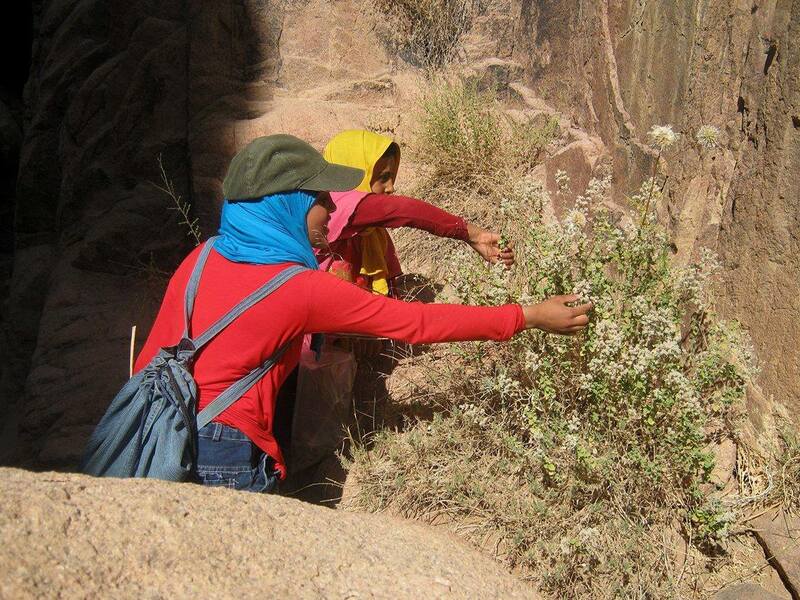 Bedouin have been using herbs for medicinal and culinary purposes for hundreds of years and there knowledge is huge. 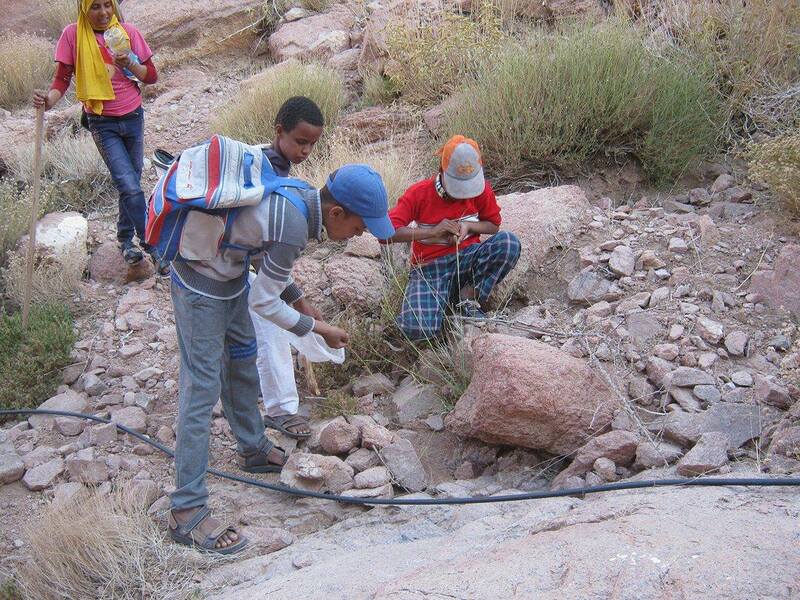 Almost all Bedouin can name a large number of common herbs and tell you what it is good for. This knowledge is part of their cultural traditions, their link to the landscape and to their communities. Many of the herbs grow high in the mountains and are not easily accessible. 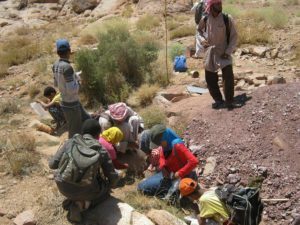 As patterns of life change, and working with tourist trekkers has declined, younger Bedouin are growing up without this knowledge, which is a great shame as such information is part of their cultural heritage of surviving in the this desert mountain area. It is also a problem in an country where there is no free health care, and people don’t have the money to pay for a doctor when they are sick. The impetus for this course is to ensure this great body of herbal knowledge is passed on to the younger generation, and also to help those youngsters who have lost their fathers, by teaching them a trade they can use to support their families in the future. Slim worked on the EU funded Herbal Agriculture Project for 3 years and learnt a great deal about herbs. He wants to pass on this information to the next generation and to help young people in need, so he came forward as our teacher. He has recruited young people who have lost their father (who are consequently suffering the grief of loosing a parent, and the poverty that comes from loosing the main breadwinner of the family). They are between 10 and 20 years of age and Slim has split them into 3 teams with an older student leading the younger ones. Each team will gather herbs and propagate them in the team garden. They will learn where the herbs grow, how to gather them, how to propagate them, how to harvest and prepare the herbs and to sell them. They will learn about the environment where the herbs grow and the right times for all these activities, as well as the medicinal properties. The course is running from August through to October and then again, after the winter, from March through to May. We hope this course will fulfil all our aims, and those of the students taking part. We are very grateful to the de Byre Charitable Trust for funding this course.